When you’re looking for carpet cleaning in Vancouver, you probably have a lot of questions you’d like answered before making a decision. 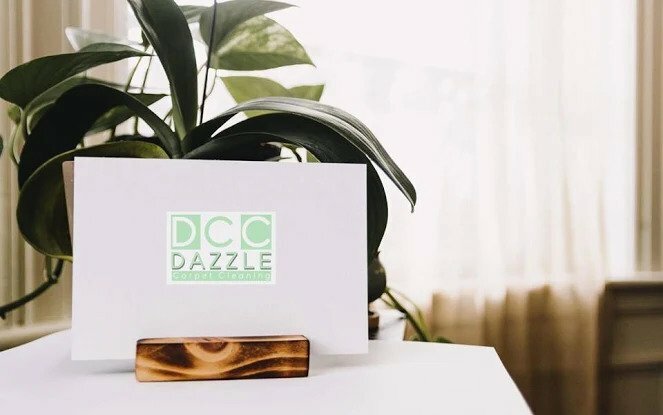 With Dazzle CC, you can count on us being honest and transparent with our pricing, cleaning methods, and the products that we use! Below is a list of frequently asked questions about carpet cleaning in Vancouver – we’re here to help! 1.) Is carpet cleaning safe for my pets and children? Dazzle CC uses only the safest and most eco-friendly products as part of our carpet cleaning process. All of our products are biodegradable, non-toxic, hypoallergenic, and contain no bleach or VOCs – volatile organic compounds. This means that they’re safe for EVERYONE in your household, even your pets. 2.) How long does carpet cleaning take? On average, it will take approximately 25 minutes per room. This time can vary greatly depending on the setup of the room, how soiled the carpet is, and any necessary spot removal treatments. 3.) How long will my carpets take to dry? Dazzle CC’s cleaning process ensures that your carpets are never left soaking wet. You can expect your carpets to take between three and six hours to dry fully, though this also depends on how humid or dry your home is. 4.) Can carpet cleaning remove pet stains? When your furry friend makes a mess on your carpet, it’s best to act fast and contact Dazzle CC right away. Our pet stain carpet cleaning treatment includes a specially formulated pre-spray that is agitated deeply all the way into the carpet tracking to remove ANY trace of odor and bacteria, getting right to the cause of the stain so that it can be removed from the fibers. It’ll leave your carpet sanitized and safe for your home once more! 5.) How often should I have my carpets professionally cleaned? We recommend having your carpets cleaned professionally at least once a year, or every 12-18 months. Of course, if you have a commercial property or a high-traffic area, it’s best to have it done more often for maintenance purposes. Spot carpet cleaning should be done anytime that there’s a stain or any kind of residue on your carpets; Dazzle CC offers an incredible Ultra Value plan that will provide you with service as often as you need it. 6.) How do I prepare my home before a carpet cleaning appointment? Small items such as children’s toys, pet beds, clothes, shoes and rugs should be moved before your technician arrives onsite. We also ask that the carpet be vacuumed prior to your appointment to remove pet hair and other noticeable debris so you can get the most out of your carpet cleaning! Furniture should be moved out of the areas that you are having serviced, as we will have to clean around any furniture that is left in place. We also recommend temporarily moving any breakables like picture frames or glass decorations into a separate room just to be safe! 7.) Do you offer carpet cleaning on the weekends or after business hours? On a case by case basis, we do, especially for commercial customers! Please give us a call at 604 802 8500 to discuss booking an appointment after or before our usual business hours. We are as flexible as we need to be! 8.) Why is carpet cleaning important? Carpet cleaning increases the breathability and overall health of your home. Allergens, bacteria, grime, pet dander, dust mites, and oil residue are all capable of sinking deep into your carpets, even with regular vacuuming, and can lead to possible respiratory issues if left for too long. Likewise, if liquid stains are left to soak into the carpets, they will very quickly become damaged, and the longevity of your carpets will be seriously compromised. For a home that is happy and healthy and safe from top to bottom, carpet cleaning is every bit as important as every other part of your cleaning routine! Be sure to read through our FAQ here as well, and give us a call at 604 802 8500 if you have any other questions that haven’t been answered yet! You can also check out our Instagram to keep up to date on all of our promotions and contests – we’d love to see you there!